Today at Worcester Crown Court, 23-year-old Anthony Boyd, of Circuit Close, Willenhall, and 31-year-old Artaf Hussain of Slater Street, Tipton have been found guilty of the murder of Robert Eacock. On the afternoon of 29 January 2018, Robert was stabbed in broad daylight as he waited to cross the road in Hereford City Centre. The 33-year-old tried to pursue his attacker but collapsed on Commercial Street, where he was treated by paramedics and then taken to Hereford County Hospital. Despite the best efforts of members of the public, police officers and medical professionals, Robert sadly died. CCTV from that day showed an interaction between Robert and Anthony Boyd outside a shop in the city. Following the conversation, Boyd went in and purchased a kitchen knife, which he concealed as he walked through the city centre. Footage revealed a further encounter between Boyd and Robert in Commercial Street at Blue School Street. There, in full view of members of the public, Boyd rushed towards the victim from behind and stabbed him once in the back. Boyd then ran from the scene and was initially pursued by the victim before he collapsed. The police investigation revealed that in the hours after the stabbing, Boyd left Hereford and travelled to the Tipton area of the West Midlands where he met up with Hussain, at the flat of an associate, Luke Mansell. 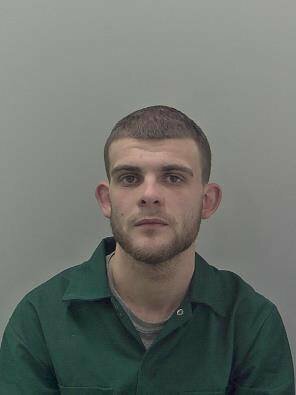 Knowing the crime Boyd had committed, 21-year-old Mansell, of High Street, Tipton, proceeded to provide him with a change of clothing. Mansell was charged with assisting an offender and entered a guilty plea at an earlier court hearing. He is yet to be sentenced. An operation coordinated by West Mercia Police on 31 January led to Boyd's arrest in the Willenhall area of West Midlands. He was found in possession of a quantity of cocaine, but the murder weapon was never recovered. Witness evidence suggested Robert may have been stabbed by a drug dealer who was operating a supply line into Hereford, in partnership with a man who was later identified as Artaf Hussain. He was subsequently arrested by officers from West Mercia Police at an address in Dudley, West Midlands on 15 February. In court, Hussain claimed he did not have any contact with Anthony Boyd around the time of the murder, and did not take part in any discussion or agreement to harm the victim. Boyd had entered a guilty plea for manslaughter which was not accepted by the prosecution. He claimed that he did not buy the knife with the intention of killing Robert Eacock or causing serious harm to him. DCI Leighton Harding, Senior Investigating Officer said: "Robert Eacock was murdered by Boyd, a drug dealer, in a deliberate act of violence. At the time of the murder, Boyd had been operating as a county lines drug dealer for Hussain. "The victim's initial encounter with Boyd on the morning of 29 January started a chain of events that involved two-way mobile phone communication between Boyd and Hussain, and an agreement between them or encouragement for Boyd to harm the victim. "This resulted in Robert being brutally murdered in broad daylight, and in the most public of locations. "Their actions were premeditated and demonstrated a total disregard for human life and public safety. Whilst no length of sentence will ever ease the pain felt by Robert's loss, I hope that today's verdict will provide a sense of closure for his family." He continued: "I would like to pay testament to the members of the public, police officers and medical professionals for their best efforts to save Robert's life, both at the scene and in hospital." "I would also like to thank the witnesses who came forward with their valuable contributions, and the local community for their support. "Finally, I would like to thank all police officers and staff who worked on this case for their professionalism and commitment to bring the offenders to justice." Police and Crime Commissioner, John Campion said: "Like the rest of our communities, I was shocked and saddened to hear about this incident. I'd like to thank the officers who acted professionally to arrest the offenders and bring them before the courts, as well as the communities who came together, and supported the police. It is reassuring to know that incidents like this are extremely rare, and I am confident in West Mercia Police's continual approach to keeping the public safe from harm. " Life in prison for the murder of Robert Eacock. 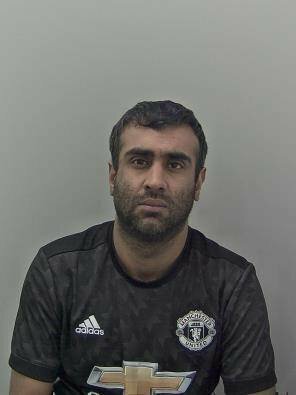 Anthony Boyd, 23, of Circuit Close, Willenhall and Artaf Hussain, 33, of Slater Street, Tipton both received sentences of life imprisonment, with a minimum of 25 years, today. Mr Eacock was murdered on January 29 in Hereford city centre. Both Boyd and Hussain were found guilty of murder by the jury at Worcester Crown Court on August 3.